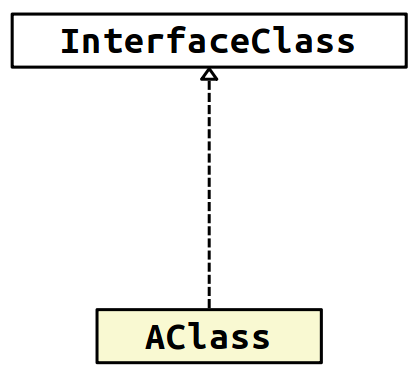 A selected class with members. 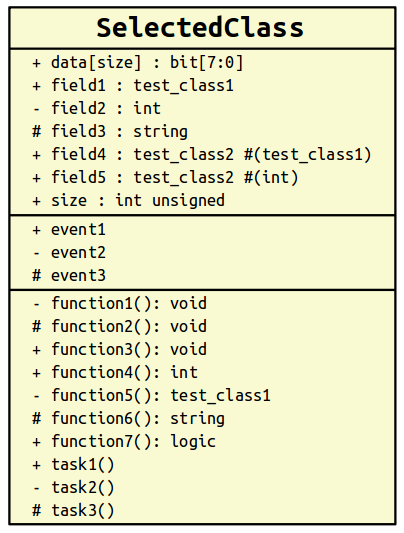 The cells are (in order) for fields, events, and methods (functions and tasks). Each member name is preceded by an access modifier flag: + (plus) for public, '- (minus)' for private, and # (hash) for protected. 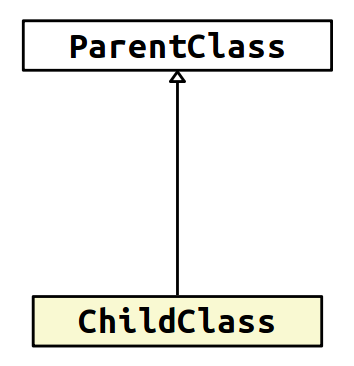 Inheritance: ChildClass inherits from ParentClass. 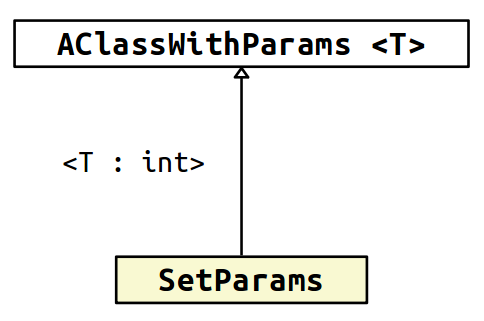 Inheritance with parameters: SetParams inherits from AClassWithParams#(int) (sets T to int). 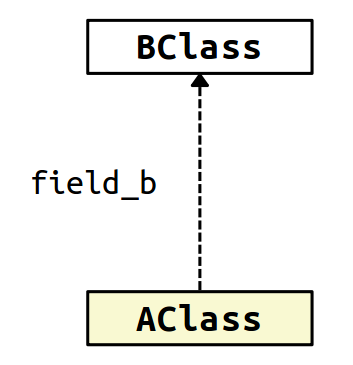 Association: AClass points to BClass (has a field f_bcl of type BClass).